A new attraction in Ayia Napa for 2015 was the dried plant and cactus park. 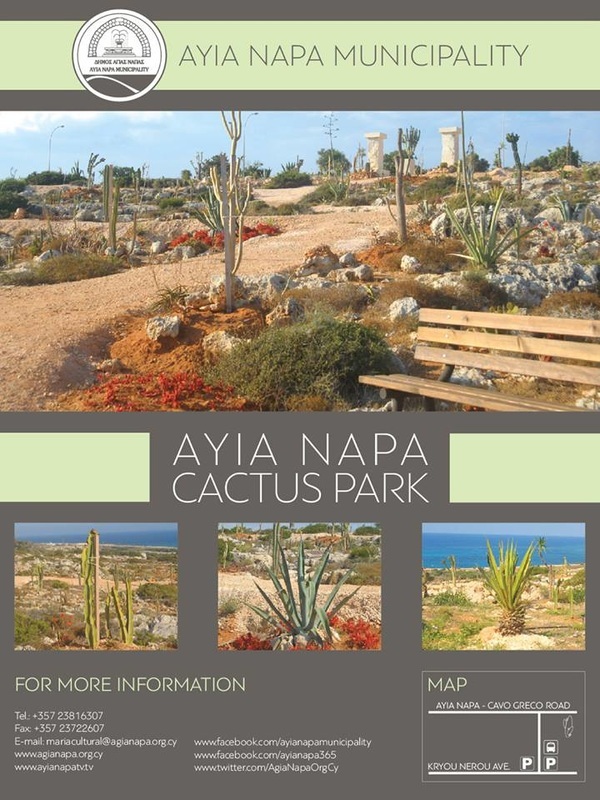 The municipality of Ayia Napa began planting this previously desolate area in early 2015 with a variety of cacti and succulents with the aim of creating the Mediterraneans largest cactus park with 6000-8000 plants. The park winds around the rocky landscape in this peaceful area just on the eastern edge of Ayia Napa. There are spectacular views out to sea and the area is a calm and serene spot to enjoy the open air. There is a combination of both large and small plants which as the years progress are expected to flourish and make this area truly impressive. The park can be found at the end of Kyrou Nerou Street in the Grecian Bay area as you head towards Cape Greco. It is adjacent to the new Sculpture Park.